The Cambridge Sensotec SF6 Fixed Detection System is a wide area monitoring solution to ensure safety for personnel working in, or who have access to, rooms that contain high voltage switchgear, circuit breakers and transformers where SF6 is at high pressure; it is important to monitor for leaks continuously. 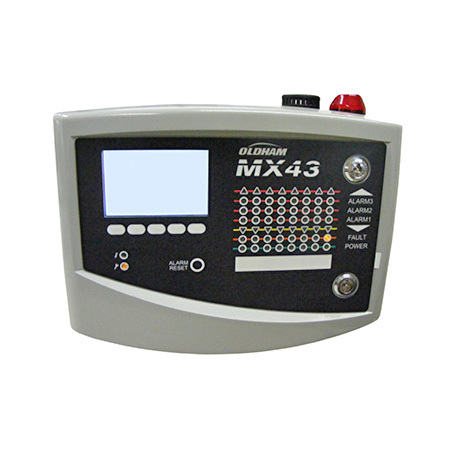 The system comprises of either the Oldham Gas MX32 alarm measurement panel linked to one or two Oldham Gas OLCT-XPIR SF6 fixed detectors, or the larger Oldham Gas MX43 alarm measurement panel linked to between one and eight Oldham Gas OLCT-XPIR SF6 fixed detectors. The MX32 and MX43 are compact, low-profile, wall-mount controllers that continuously monitor for SF6 leaks using remote cabled detector head units, positioned at low level around the surrounding walls. The panels include a strobe and horn to alert personnel in the event that the alarm levels for SF6 in the working environment exceed acceptable limits. Power alarm relays can be used to trigger external sirens or link into existing alarm equipment. All data can be output to a PLC or building management system. 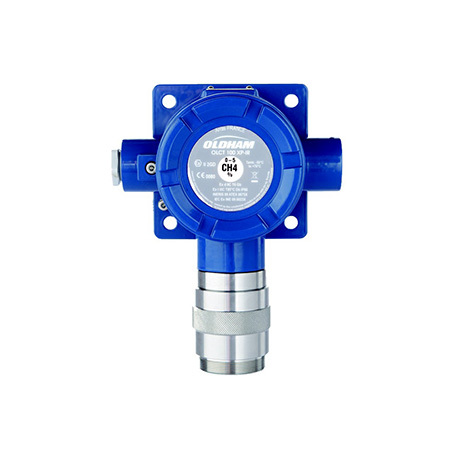 The OLCT100-XPIR SF6 long-life infrared detector is an ATEX rated 4-20mA analogue SF6 gas transmitter designed for industrial applications in hazardous locations; the measurement range is 0-2,000ppm (the threshold limit value – or TLV, time-weighted average – for SF6 is 1,000 ppm). Each detector has programmable INSTANT, STEL and TWA alarm thresholds. As each application is unique we offer a full installation design and installation service to meet your requirements and obligations.